Lennox Centurion Award for Dealer Excellence: Since program inception in 1993, Kent Heating and Air Conditioning has received the prestigious Lennox Centurion Award for Dealer Excellence. The Centurion is awarded to the top 100 Lennox Dealers out of 7000+ in North America. The Centurion is based on participation in Lennox customer satisfaction, advertising, sales, and program participation activities among other factors. Kiwanis Club Volunteer of the Year Award: In 2010, Kent Heating and Air won the Volunteer of the Year Award from Valparaiso's Noon Kiwanis Club Foundation. Governor's Half Century Award: Governor's Half Century Award by Indiana Governor Mitch Daniels and Lieutenant Governor Becky Skillman in a ceremony at the State Capitol in January, 2006. HBA's Presidential Award: 2009 Presidential Award from the Porter County Builders Association (now renamed the Home Builders Association of Northwest Indiana). On December 14th, 2018, Lennox Industries, Inc. 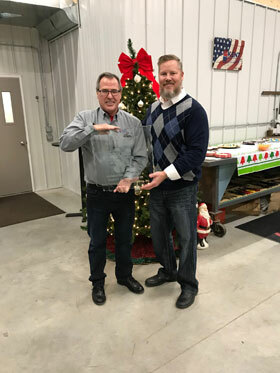 Territory Manager, Matt Sczurko (right), presents Allen Kent, President/CEO, Kent Heating and Air Conditioning, Inc. with the 50 Year Lennox Dealer Award. Allen states, "To be a business partner with the same company for 50 years is indeed a rare thing in today's world. We have long considered Lennox the best and most innovative manufacturer in the HVAC industry, and they prove this with their quality products and personal attentiveness each and every day. What I believe really sets them apart is that they have a close relationship with and sell directly to us, the Lennox Dealer, and not to a wholesale supplier. Should a problem develop in the field, we can deal directly with Lennox and have a resolution for our customer immediately versus working with a wholesale supplier who then goes to the manufacturer, and losing first hand control of the situation. This is vital to Kent Heating and Air's commitment to unmatched customer service." Premier dealers must meet stringent qualifications in order to have the designation, including high customer satisfaction levels. Kent Heating and Air has achieved this distinction since program inception. Comfort Institute also provides training and support to a network of independent comfort contractors across North America. 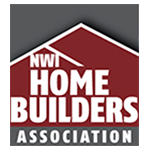 These programs help member contractors solve problems for their homeowner customers. They also help contractors provide the highest possible quality of heating and cooling service and installations, at competitive prices. Porter and Lake Counties in Indiana. The Greater Valparaiso Chamber of Commerce is a membership organization consisting of members in the business, government, education, and not-for-profit sectors. Through its volunteer committees and its partnerships with organizations in the Northwest Indiana region, the Chamber works on economic development, member services, legislative, and quality of life issues. Any business, government entity, school corporation, not-for-profit organization or individual not actively associated with a business is welcome to join. The Duneland Chamber of Commerce serves over 400 members and holds as its main objective the facilitation of the interests of the Duneland community. By hosting more than 100 community and networking events each year, producing a quarterly magazine and offering the prolific Residential Welcome Bag Program, the Chamber seeks to enrich the lives of area residents and ensure the economic vitality of our Duneland community. Kent Heating and Air Conditioning holds numerous, required licenses for various municipalities in the region.